I have a bunch of time off work so its time for me to do a lot of brewing work I've put off all year. I'm planning to do a grain inventory and see whats been laying around for a long time and clear it out. I need to sort through my bottles because right now its an unorganised mess. 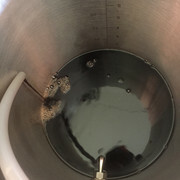 My pipeline is in a desperate need of a real refill after a busy year so I've lined up a simple saison, a farmhouse style ale with kviek, a marzen for an oktoberfest party, an IPA to blast through last years hops and some sort of stout to brew. 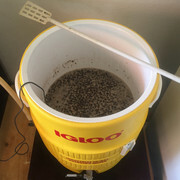 I'm across the pond and am almost done the boil on Canuck's coffee porter - https://www.canadianhomebrewers.com/viewtopic.php?f=26&t=477 - Using local Malawian coffee of course. 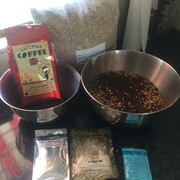 Just looked through my grain inventory, and found out that I've got the ingredients on hand to pump out BierMuncher's Centennial Blonde (as seen at https://www.homebrewtalk.com/forum/threads/centennial-blonde-simple-4-all-grain-5-10-gall.42841), so this just turned into a double brew day! I love coffee in beer but its something I've never done before. Let me know how it turns out! I brewed a Marzen/Oktoberfest about 5 days ago. 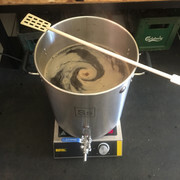 Realised before I didn't have anything to make a starter with so I sparged my grain a second time to get enough wort to make a starter and pitch a day later. I'm trying out Brulosophy's Fast Lager Method. I just reached 55% attenuation today so I'm starting my ramp up to 19C. Even at only 55% it tastes pretty good. Brewed a Rye Pale Ale on the weekend. To the whirlpool I added what centennial and fuggles hop cones I had on the plants, should have weighed them, but likely about 5oz of cones, so about equivalent to 1oz of pellets, plus another oz of dried fuggles from my plants from last year. 1.057 to start on Sunday, was at 1.013 today, that Lallemond ferments quick considering estimated FG was 1.015, I will take it. Seemed to taste not bad when I measured the gravity. Will take a balls worth of sediment (using a fast ferment) and let it clear itself up for a couple of days. Brewed a coffee stout last night. First time using coffee ever, I think. How did you add the coffee? Bodum Cold Brewed it. Added at knockout. It said that you could either add it at knockout, or in the secondary. Wow, powerful. I have some RIS from like seven years ago. I bet you save a couple of bottles every year. I also have several bottles of Barley Wine. It was essentially a clone of Sierra Nevada Bigfoot. But everytime I open one now, it's not carbed. I was thinking about cold brewing and adding it to secondary. It would be interesting to compare notes. I usually add stuff at secondary. (I do single vessel and add it when vigourous fermentation is done). I think I was inclined to do knockout because I didn't want too much bitterness or overpowering, I don't know. I just remember that once I made up my mind, that was it.